Baptizing my friend Emerson Benigno Armas into Christ today. Because of our annual trips to Namasigeu, I have known Emerson since he was a little boy. It was such a privilege to study with him today and to be involved in his baptism into Christ. Praise God for our new brother! 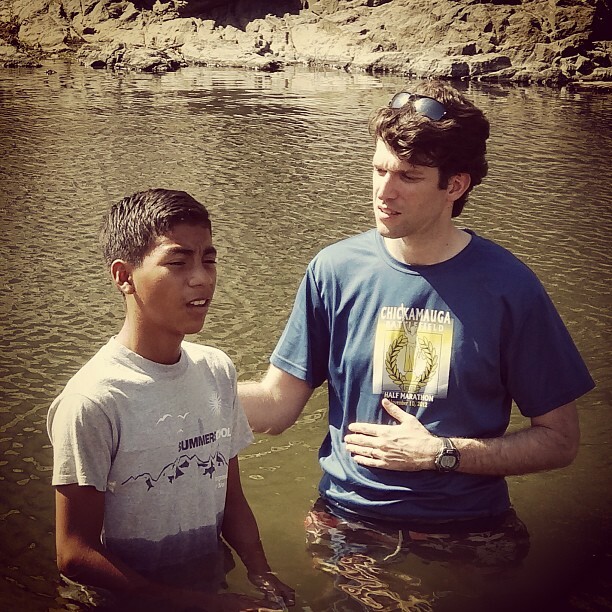 Home » Blog » Faith » Baptizing my friend Emerson Benigno Armas into Christ today. Because of our annual trips to Namasigeu, I have known Emerson since he was a little boy. It was such a privilege to study with him today and to be involved in his baptism into Christ. Praise God for our new brother!